Discover 12 easy tips that encourage multisensory learning at home. There are many ways a parent can help and encourage a child by using some multisensory techniques. Although this may involve some changes in the home, the results may be well worth the effort. Provide a structured environment for work. Avoid outside distractions whenever possible (computer, audio players, TV, radio, general clutter). A clean, organized desk and room help your student to focus on his task. Whenever possible, write short notes to reinforce what has been said (on a bedroom mirror, refrigerator, chalk board, or bulletin board). Teach organization. For many, this skill does not come naturally and must be learned. Schoolwork especially should be organized — for example, divided notebooks, labels, and "to do" lists. Color coding helps in organization. Use a recording device. A parent can also record social studies and science chapters for the student to listen to. 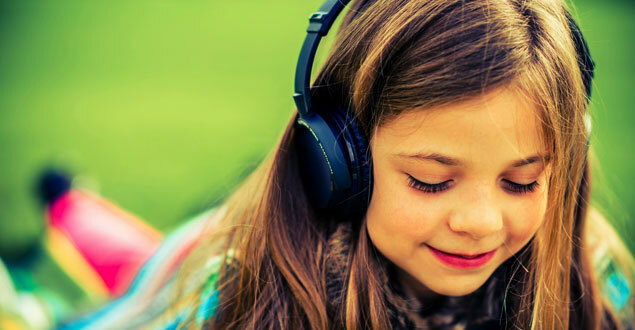 Let the child read and record her lesson and then let her replay the recording to listen to herself. Audio books are great, too! Use as many hands-on techniques as possible. Math manipulations and base-ten blocks help make math concepts more concrete. When speaking, look directly at your child and encourage him to look at you. Reduce the number of words you use in directions and explanations to the smallest amount possible to get the meaning across. Have your child repeat words and directions back to you. Don't just rely on oral communication, give written reinforcement too. Read to your child and ask comprehension questions. Encourage your child to also read aloud to you and again ask questions on comprehension. Structure what is done at home. Try to follow a posted daily routine whenever possible. When your child forgets something, give clues to allow her an opportunity to remember instead of supplying the answer for her. Give your child regular chores and follow through to see that they are accomplished. Encourage games that require reading and spelling.